For those living in the U.S. and Canada, Black Friday and Cyber Monday are almost always the best times to buy. In the U.S., Black Friday is the day after Thanksgiving and Cyber Monday is the following Monday. This year, Black Friday lands on November 28, 2014 and Cyber Monday is December 1, 2014. Very often, these sales are no long restricted just to that particular Friday and Monday, as we have seen many online retailers start their Black Friday sales a day or two early, and extend it throughout the weekend. Cyber Monday sales sometimes get extended for a whole week, too. But be warned: Not everything goes on sale, and some items only see a 10-15% price reduction, while others can go as low as 50% of the regular price. You need to keep a sharp eye and prepare a list of potential items and substitutes beforehand. For the rest of the world, the best sales usually happen around Christmas and New Years, or other major holidays. Different countries may have different special occasions throughout the years that spark big sales. For example, the Chinese New Year is usually a big time for sales. If you’re a frugal PC builder, you’ll need to have patience. 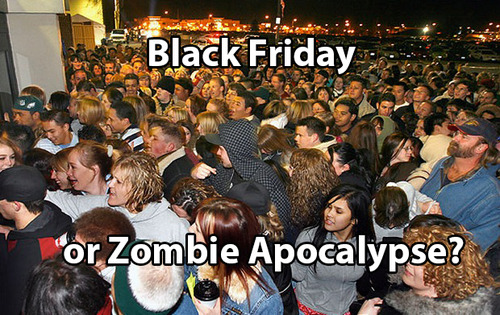 But if you don’t want to wait until a major holiday, there are other times you can capitalize on crazy deals. When items get renewed with completely new “families,” such as GPUs, SSDs, and to a lesser extent CPUs, you can get very good deals on the older generation once a new generation launches. For example, nVidia just launched the GTX 980 and 970, replacing the 700-series cards, which have seen steep discounts through some retailers. It’s a great way to upgrade, as long as you can accept always being one generation behind.